There are several ways to verify your website with Google, one of which requires you to upload an html file to your server. Create a new content page where you will place the google verification code. This code can be obtained directly from instructions provided by Google. Call the page "Google Verification" and switch the How do you want to build this page? to Use HTML Editor. Now that your page is saved, you need to generate a vanity URL to route the visit to this page. 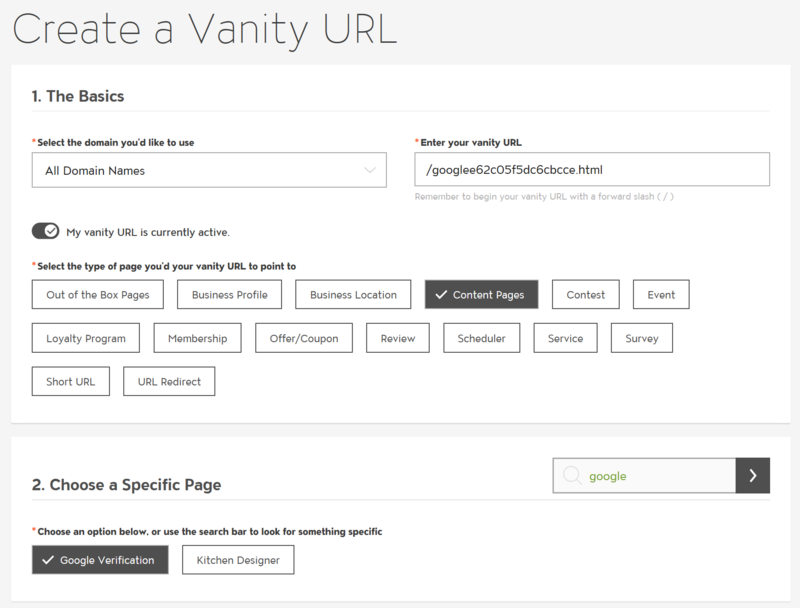 Go to the Company Menu and click on Setup Vanity URL. Select Content and then find the Google Verification page you just created. Google can now find this page.